The Synthwave music scene has created a huge rippling effect on the way post-modern aesthetics have evolved. Synthwave shows off a cool and electric 1980’s-1990’s vibe because that’s exactly where it came from. 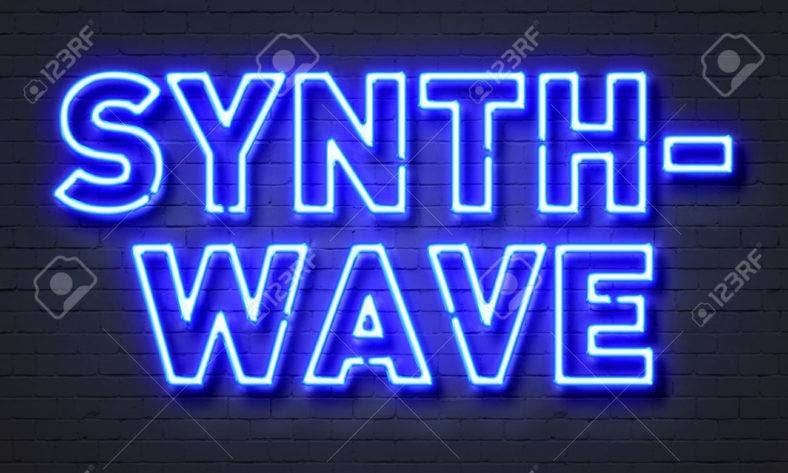 Although it’s an aesthetic genre established in the music scene, Synthwave’s look is inspired by a diverse set of art forms – 80’s films, video games, cartoons, and so much more. 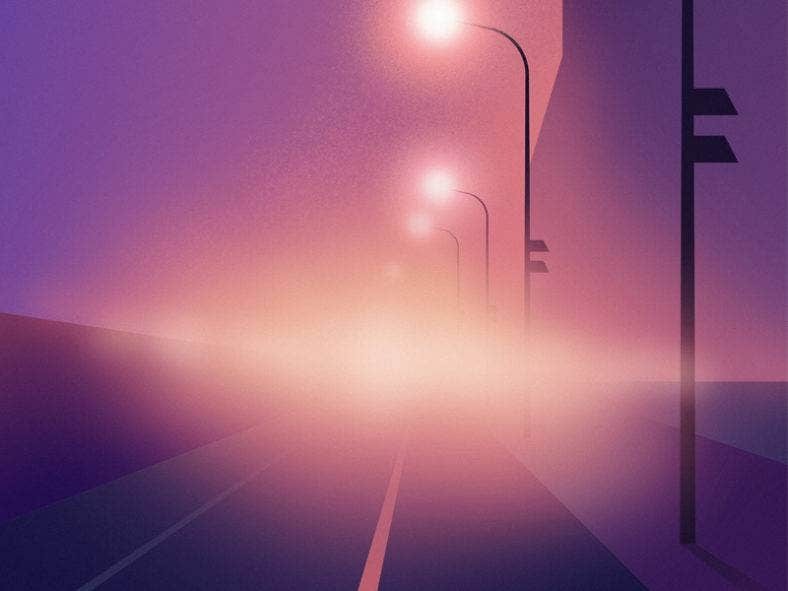 With a unique and nostalgic set of tones, some of the most common design elements are those of neon color schemes, speeding cars, and dreamy pink skies. A popular musical style that boomed in the 80’s, and its now making a comeback for the youth today. Now, it’s not just limited to album covers and posters, Synthwave is definitely making waves in all types of art and design. 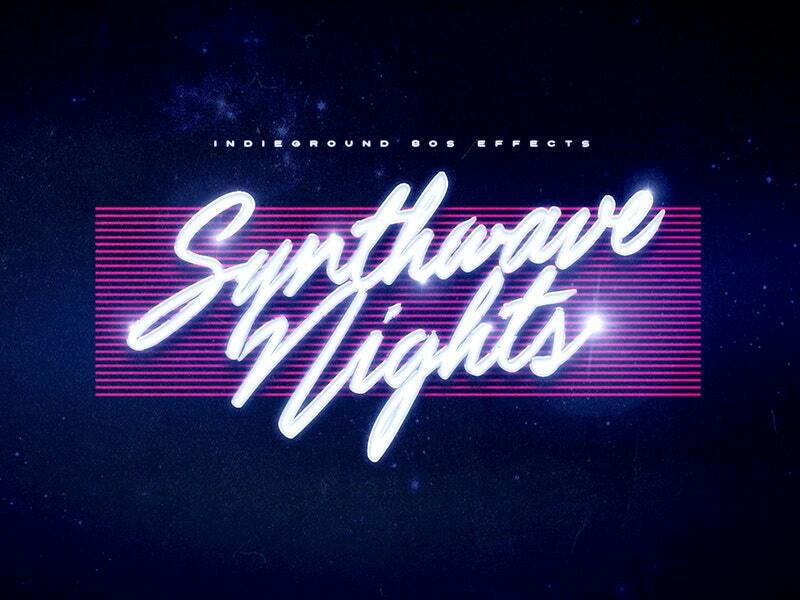 We’ve collected the best of Synthwave retro design elements for you to feast upon. 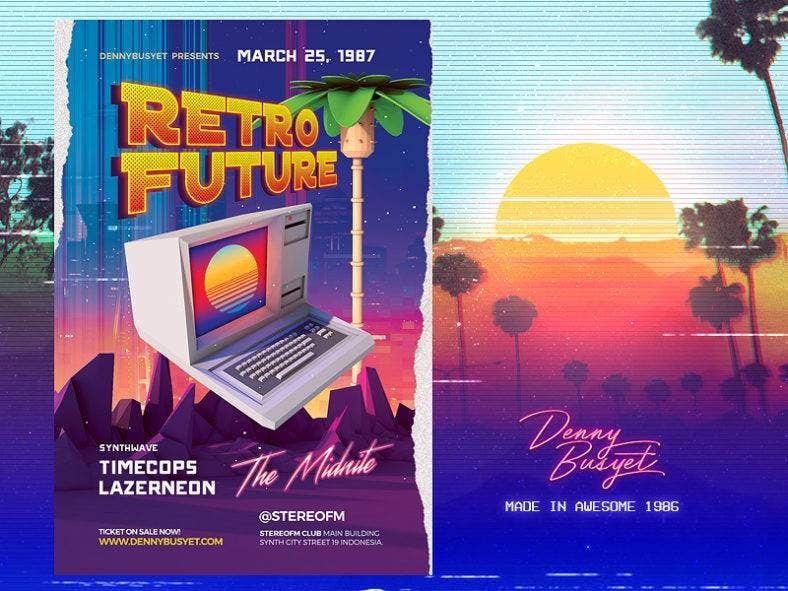 From flyer templates to vector and text elements, download your choice of Synthwave designs to bring back the glory of the eclectic 80’s and 90’s. 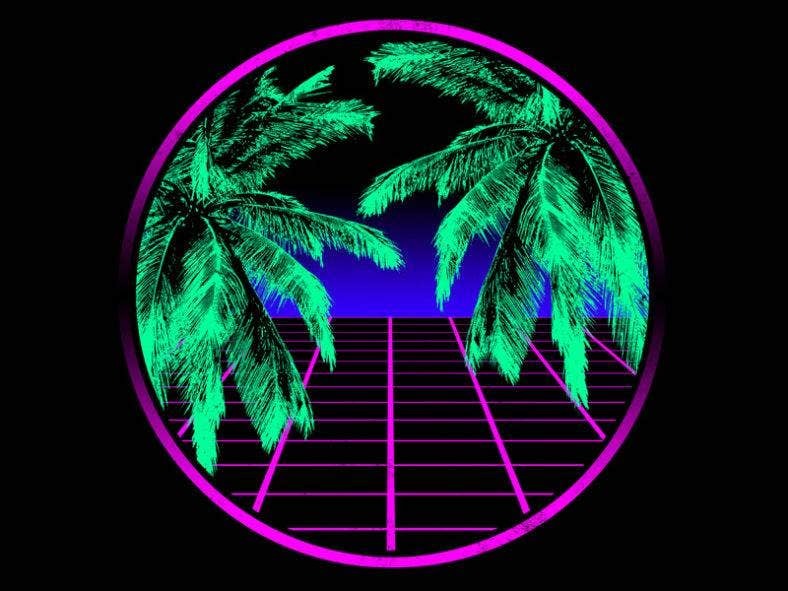 This background design shows off certain iconic elements with a Synthwave design. It makes use of geometric patterns, sharp texts, and neon colors;making a distinct statement piece altogether. Download this design for your desktop wallpapers, wall art typography, and more. 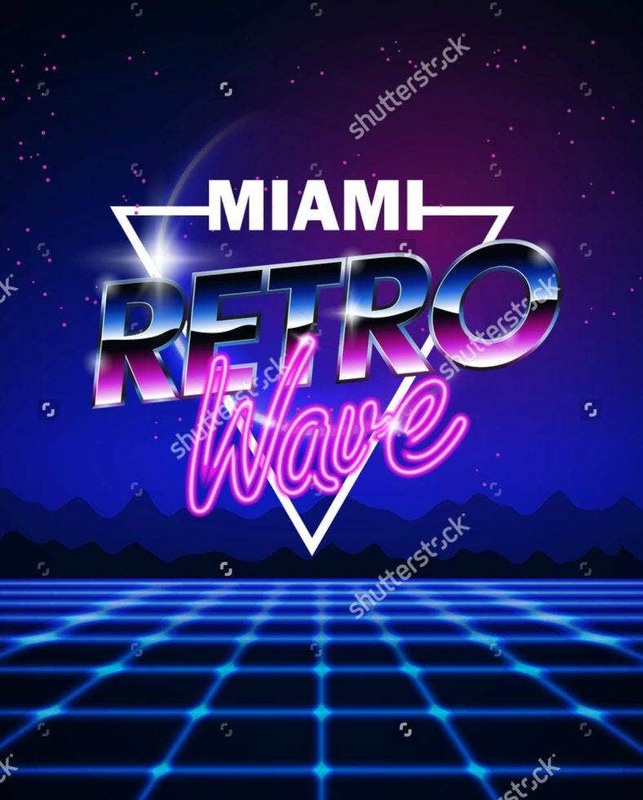 The Miami Retro Wave Flyer is surprisingly among the Synthwave poster mockups that take on minimalist and simpler designs. With geometric shapes and bold typography, show off your Miami pride in style. You can use this design for your event teaser posters, wall art, or printed shirt design. Download the Synthwave Pyramid and Sun Vector Illustration for your holographic designs. It’s a customizable stock illustration that can easily be incorporated with text, images, and other design elements. There’s no going overboard with Synthwave, so keep as many designs in your toolkit as possible; including this one. 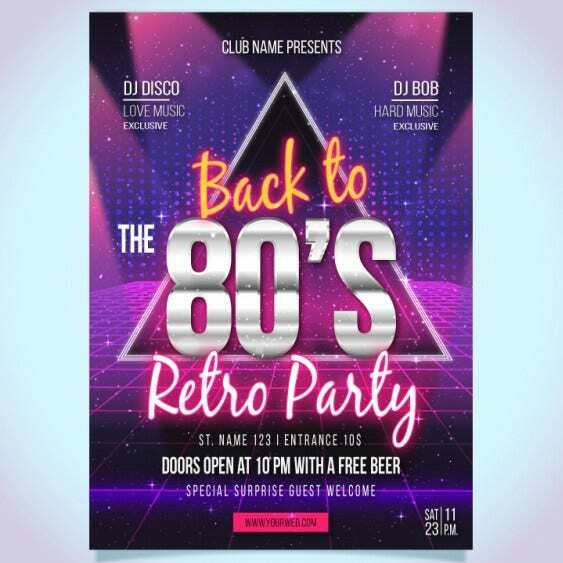 Relive the 80’s with this Back to 80’s Retro Party Flyer design. It’s a retro party flyer for a club event, and is appropriately designed to establish an energetic and lively atmosphere. 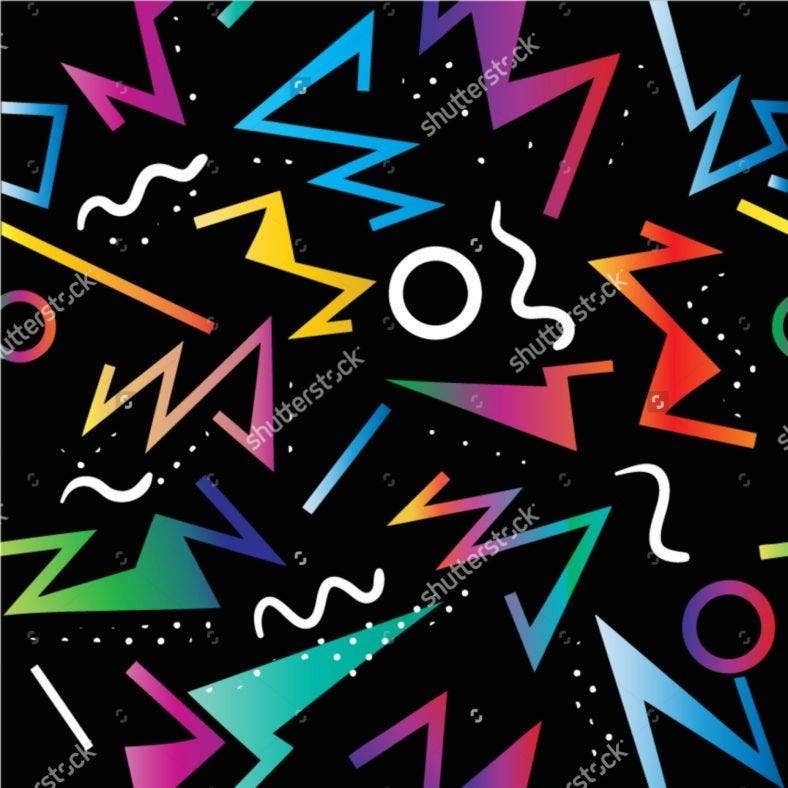 With bright colors, bold texts and patterns, show your target audience what’s so great about the 80’s to get them hyped up. 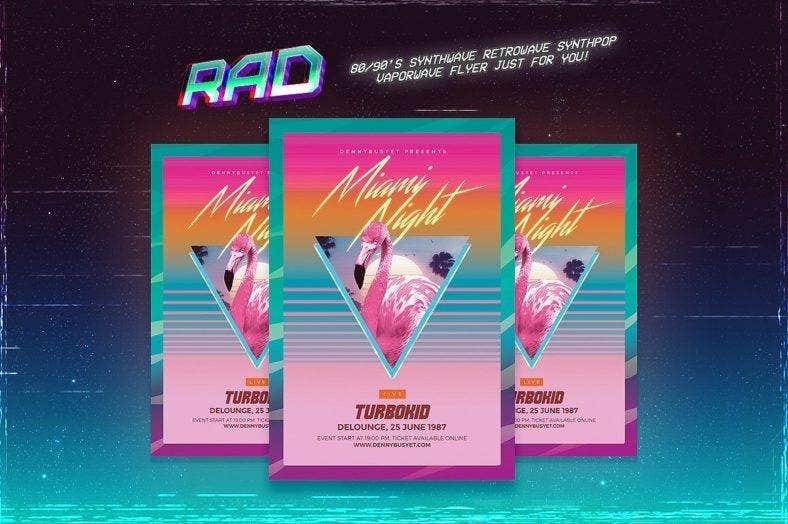 Promote your dreamwave retro-futuristic event with the Miami Night Synthwave Flyer Template. With this pack, you’ll get a PSD layered CMYK version for print, and an RGB version for your desktop. You can easily edit the text to show off your own event. Amplify the Synthwave feel with neon retro fonts and a cool color scheme. Download the California Tropical Retro Synthwave Poster for a simple yet stylish poster design. This could work well for your travel posters, branding and packaging designs, or party flyer. It has a clean overall look and pulls you in with its 90’s nostalgia. If you’re getting tired of the typical retro fonts, the Synthwave Text Effects is nothing short of extraordinary. A completely rad collection of text effects, this bundle is perfect for the youthful and vibrant banners, posters, cards, or branding. What’s so great about this set of fonts is that it perfectly establishes a retro wave feel, while being completely out of this world. 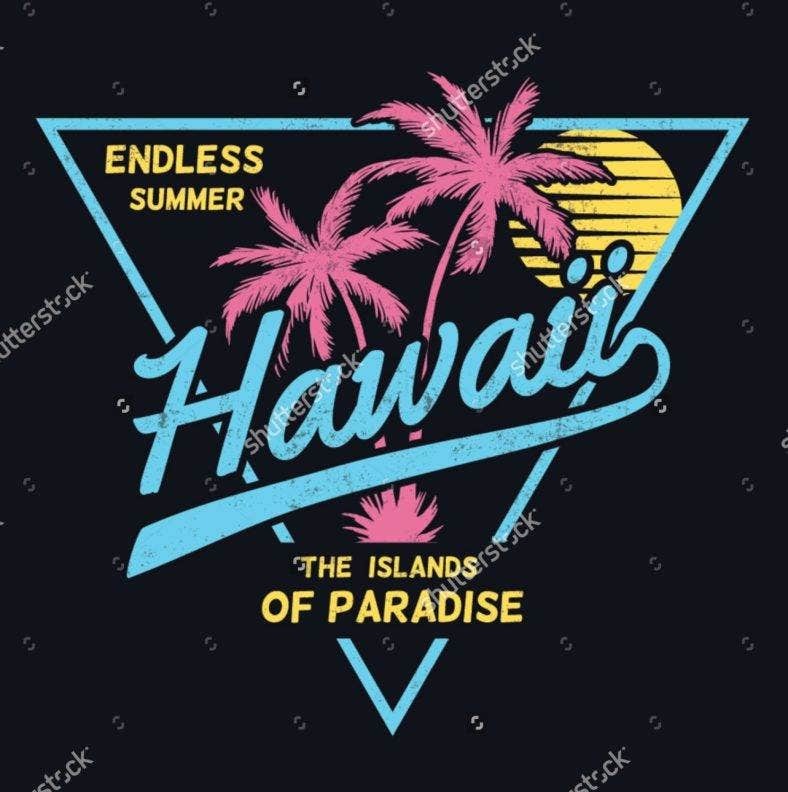 The Hawaii Summer Synthwave Design is freely available for your t-shirt designing. Download this design to get a vintage style print you can rock out casually in the streets. You may also use this design for plenty of other uses such as card designs, posters, and more. The Neon Synthwall Brick Wall Background is as profound as it is direct. Get this cool image for your wallpapers, wall art, or as a template for a storefront signage you’ve been planning to have. It’s simple and neat with its neon color and hollow text against a brick wall background. Night in the Hood establishes a serene yet mysterious scenery of an empty highway. Get this Synthwave illustration for your personal use or professional work as a designer. You can use it for your product packaging, event flyers, or business card templates. 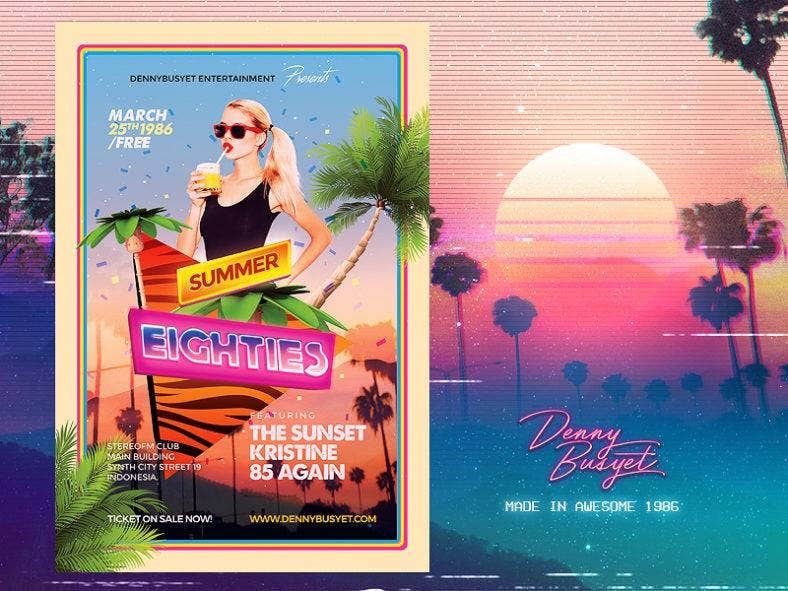 The Eighties Summer Flyer has set a new tone for a vintage type of summer party flyer. 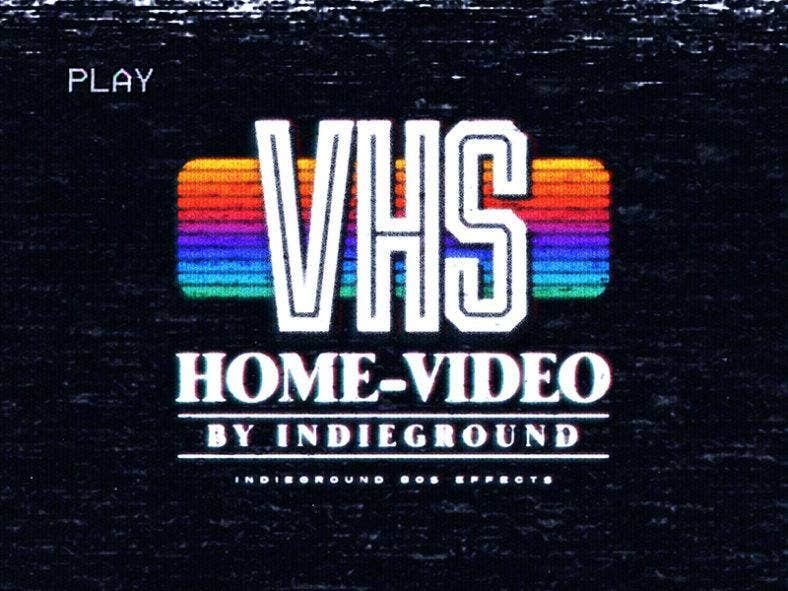 Bask in nostalgic movie-like vintage quality designs and retro wave colors. There is a playful approach to typefaces, colors, shapes, and patterns; which is always welcome in a party flyer. There is a notable coming together of all these unique elements that make the flyer very appealing and exciting. 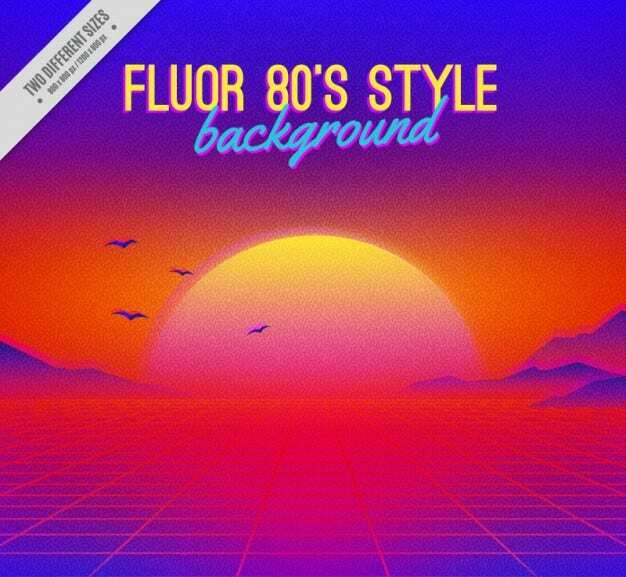 Download this Flour 80’s Background to get a warm gradient of colors blending together to give you that holographic tropical vibe. 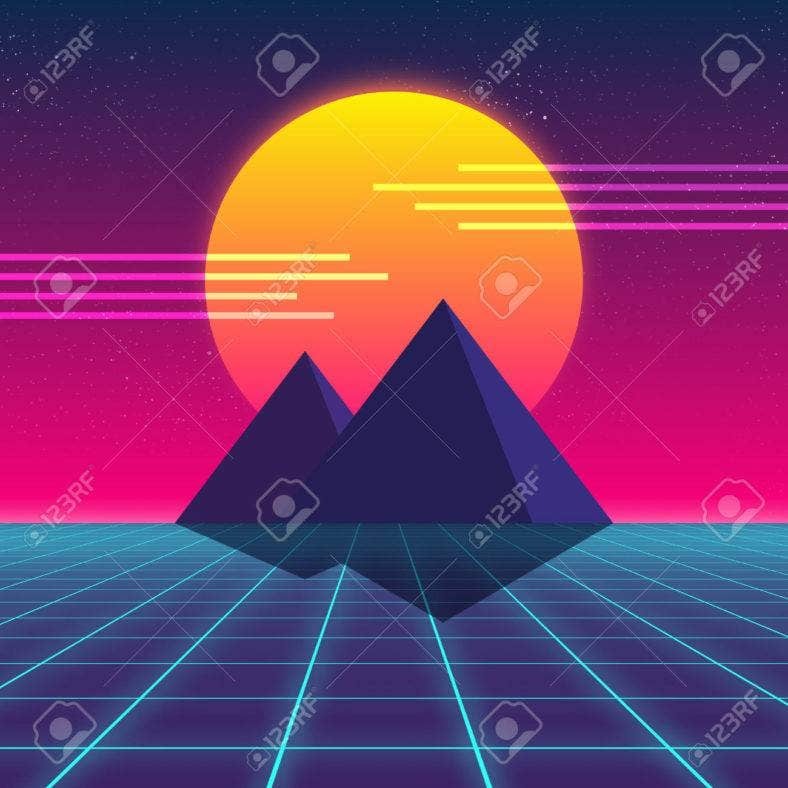 You can use this Synthwave illustration for your phone casing, product designs, and album covers to really bring out that timeless quality. 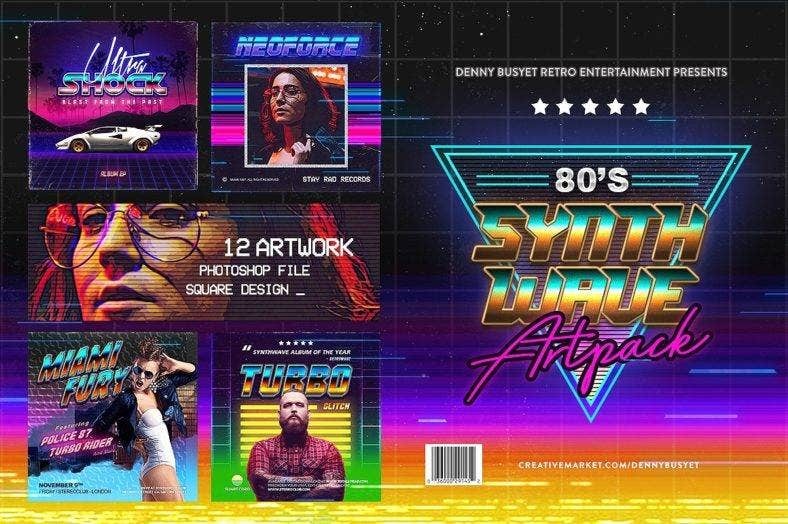 If you want funkydelic and eclectic for your retro packaging design, the Seamless Synthwave Patter Vector is freely available for download. You can customize and scale this vector illustration easily to use to your advantage. It can serve as a stand alone piece for packaging, wallpapers, and backgrounds; or you can add in text and images for art deco works, posters, banner designs and the like. 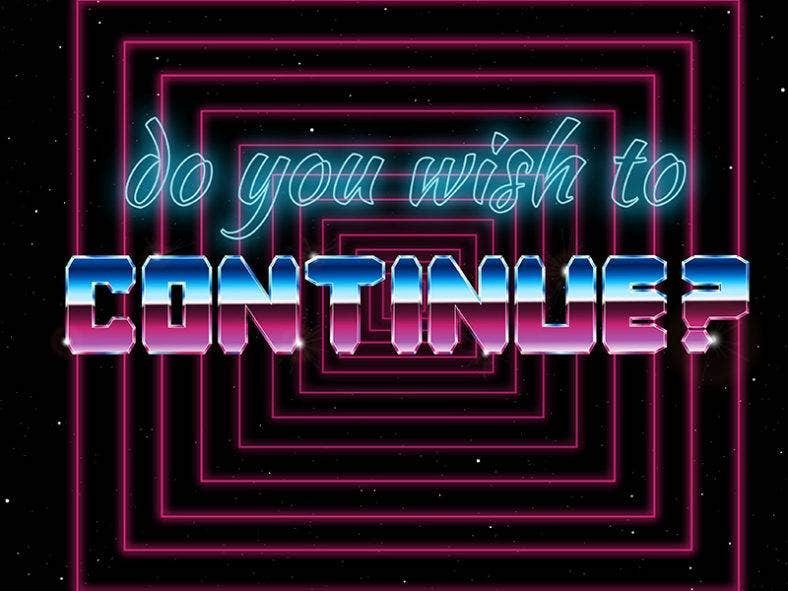 “Do you wish to continue?” is a classic arcade phrase, and takes up a huge part of our childhood; something we love to go back to every now and then. With this Retro Arcade Typography, get yourself quirky and nostalgic retro art you can use for various purposes —shirt design, wall art deco, card design. 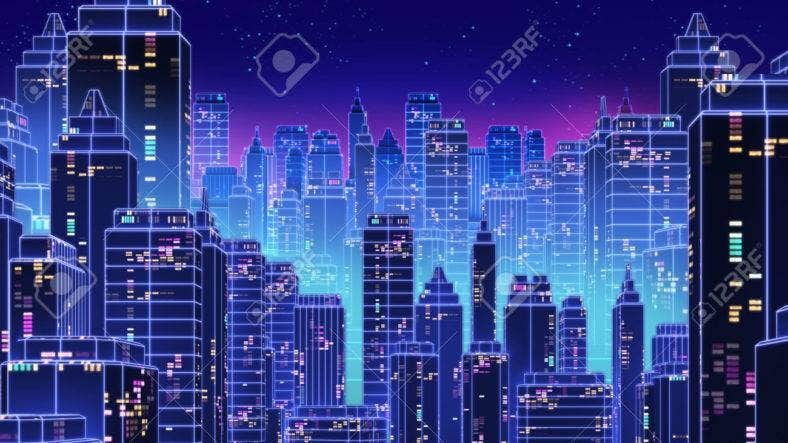 Download the Futuristic Skyscraper Illustration for to create a cyberpunk feel to your flyers, wallpaper, or digital artworks. With its holographic gradients, you can definitely feel the retro video game ambiance of the design. Download this image for free and seamlessly fit it into your designs. 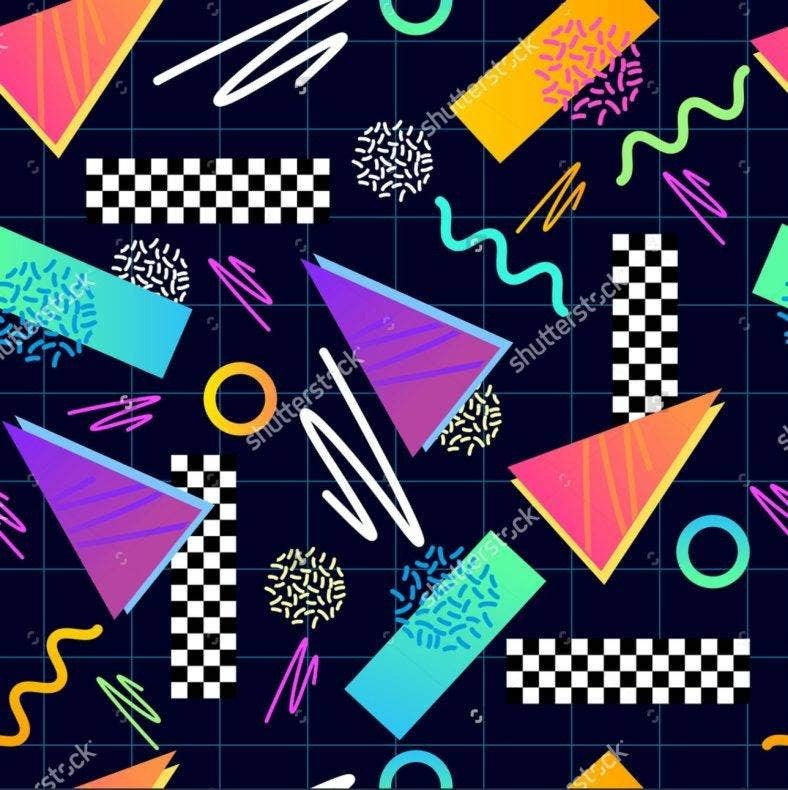 Get yourself an array of awesome retro vectors with this 80’s Graphic Vector Pack. 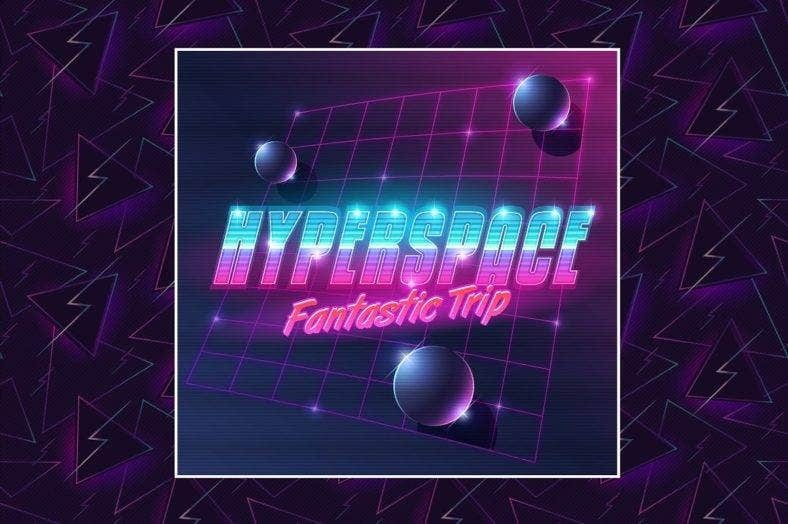 Included in this graphic bundle are beautiful Synthwave backgrounds, vector fonts, sharp emblems for logos and templates, seamless patterns and so much more. You’ll get various formats for the backgrounds, and have ready-made poster templates to work with for your invites, web design, prints, etc. 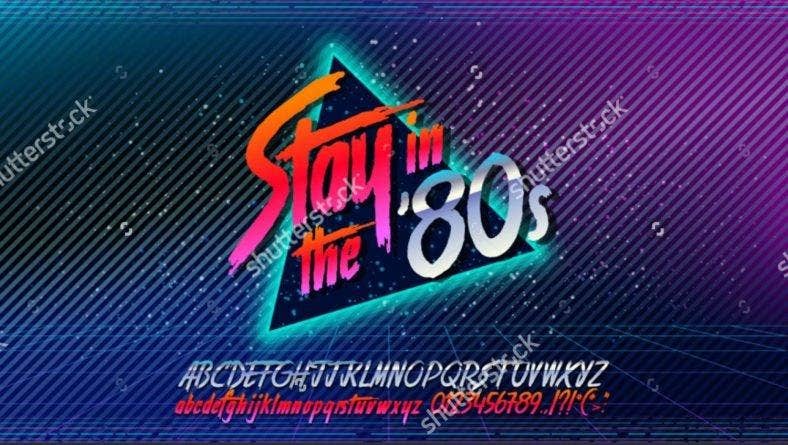 This electric Stay in the 80’s Synthwave Print is available for download, and can easily be customized to fit into your fabric printing, web banners, and wall art typography. 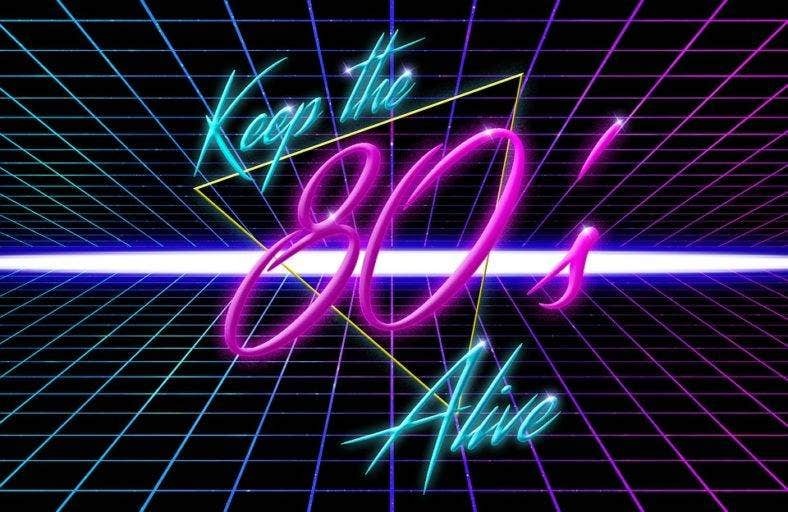 Stay inspired and keep yourself in check with the 80’s aesthetics with this cool reminder in your home, office space, or website. Download the Retro Wave Synthwave Flyer if you’ve got an awesome retro party coming up. 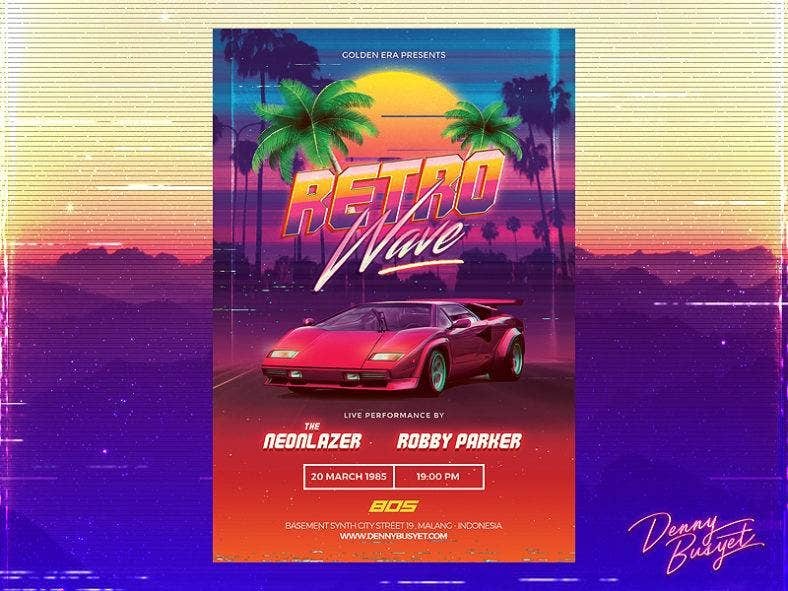 This retro event flyer is the epitome of Synthwave, with its tropical palm trees, neon colors, and the iconic sports car. It can definitely make you feel like an edgy vagabond out to take the world for your own. 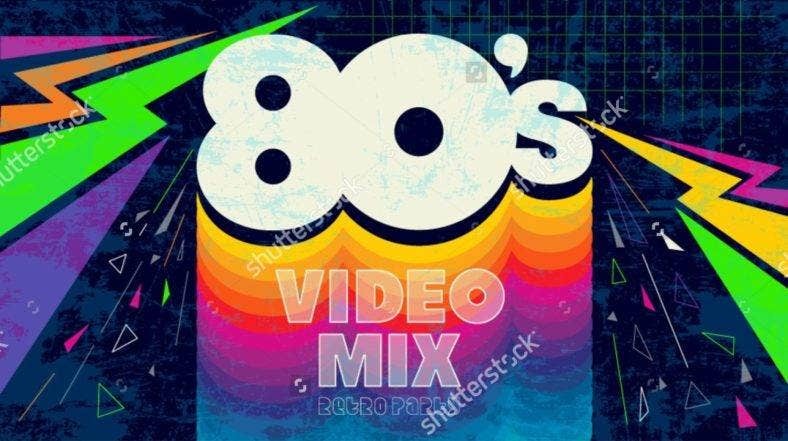 The 80’s Video Mix Banner Design is definitely one to capture the attention. Keep it funky and light with a retro banner designed in bold colors, patterns, and text. It’s loud and vivid colors are just enough to get people interested in what you’re selling—whether that’s an upcoming event or a professional service. 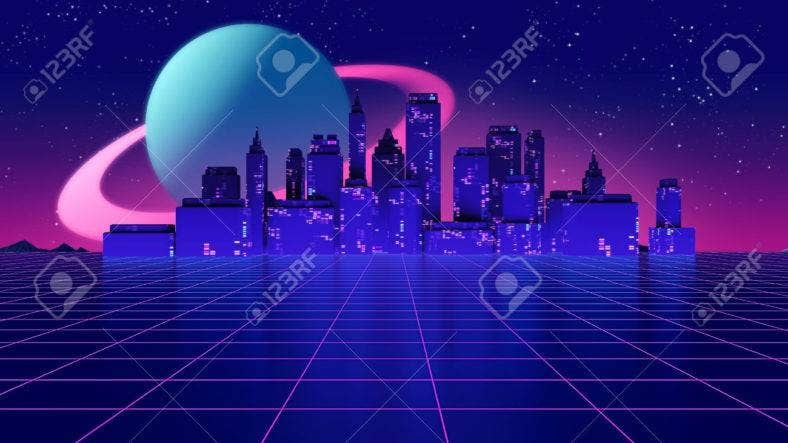 Download this Retro Futuristic Background for your digital prints and online artworks that are out to express the vibrancy of the cyber world and the urban setting; but in a completely Synthwave retro-futuristic kind of way. It’s a great illustration that bass in neons, geometric shapes, and galaxy elements. The Synthwave Square Artpack is deeply inspired by the Synthwave music of the 80’s, as well as the whole 80’s and 90’s scene. Capture nostalgia and eclecticism with this design bundle. You’ll get layered PSD files, highly editable text and designs, all in excellent quality. They are wonderful design tools to successfully promote your events, websites, music posters, and social media platforms. If you’re out looking for possible retro logos, the Tropical Wave Logo Illustration can definitely be your source of inspiration. Download this minimalist design, and see how Synthwave can still be profoundly expressed with simple and clear-cut design elements. It can used as a professional product logo, clothing emblem or patch, or a stationery design piece to our brand. The 80’s is all about fun colors, unique shapes, and authentic electric vibes. 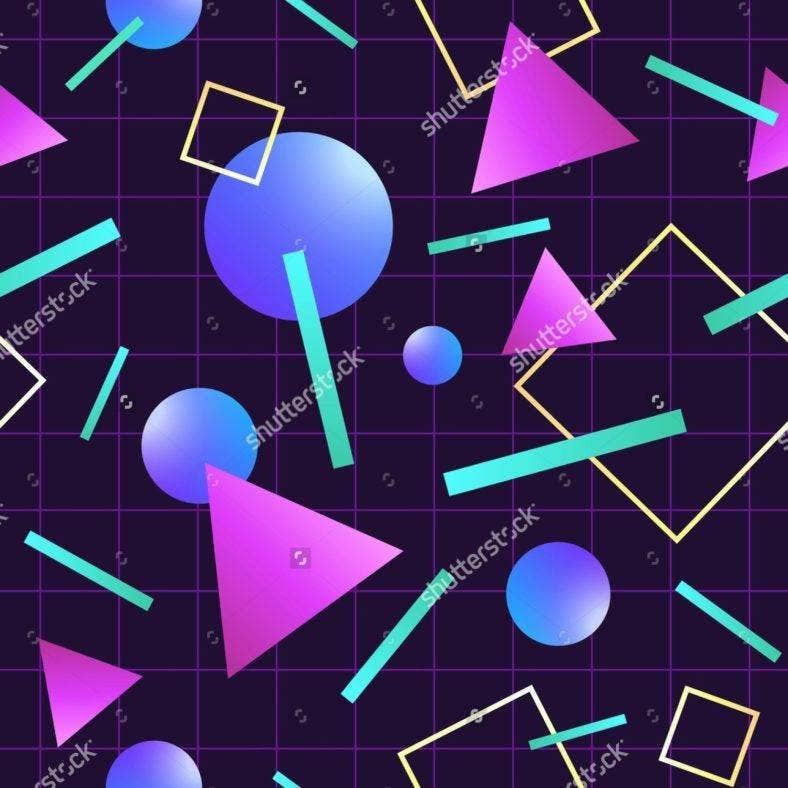 Experience that scene with this Funky Geometric 80’s Seamless Pattern. You can use this as a background image for your flyers, invites, or promotional ads; or as a desktop wallpaper, product packaging, and art decorative home piece. 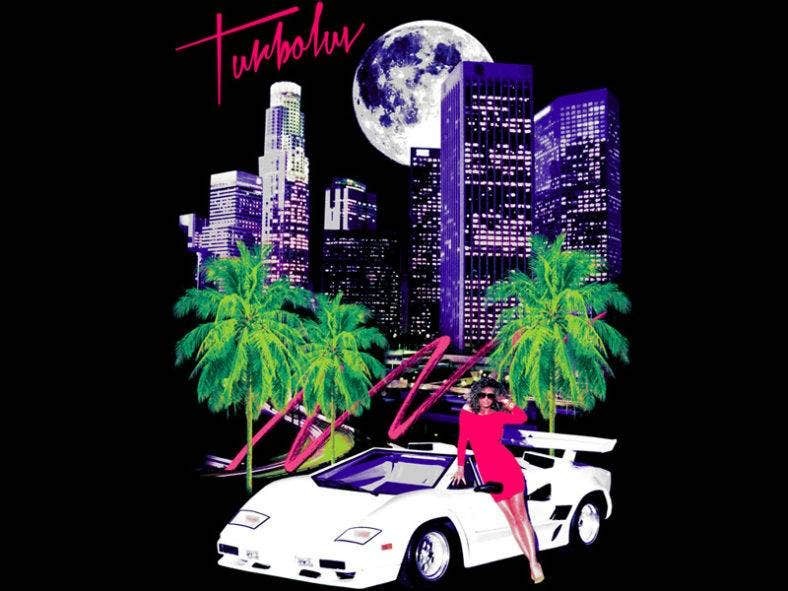 The LA Drive Synthwave Illustration successfully captures the cool and edgy aesthetic of the 80’s and 90’s Synthwave pop culture. Get this design to have yourself a shirt design that’s to die for; or you can use this design for your wall art, official website, and social media postings. Be absolutely amazed by how well the retro Synthwave has taken over the aesthetic patterns and design trends of today. 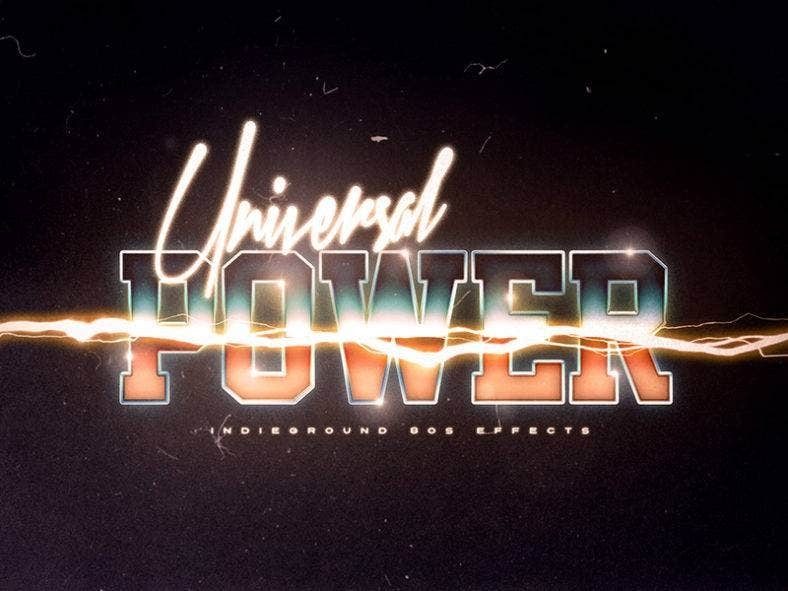 Through this 80’s and 90’s pop culture, there are various other forms of sub genres that have stemmed out – the millennial vaporwave and dreamwave, to name a few. It’s great to see how design evolves and inspires, and you shouldn’t be the one that gets left behind. Let your creativity and eccentric spirit burst in holographic colors with our list of Synthwave designs. You can be part of the best retro logo designs, or have people clamoring for your products or online graphic designs. The possibilities are absolutely endless. Funny how an aesthetic that dates back to decades can get you way ahead of your time!